Yesterday evening the first ever Swedish PR awards was given out at a gala dinner in Stockholm. 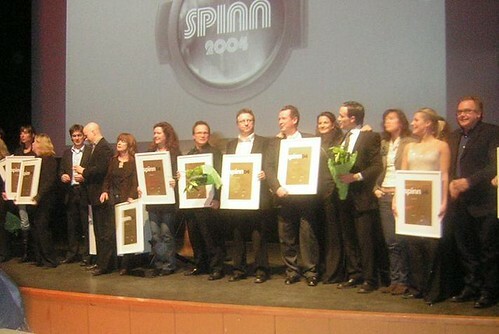 The PR consultancies’ organisation Precis estimated that a third of its members were present at Spinn 2004. For someone like me who spent a number of years at different agencies it was almost like coming home, I met so many people I haven’t seen in years and it was great fun. I think that will be the greatest benefit of this event, that people get an excuse to meet and mingle. And of course it is an incentive for the agencies and clients that win the awards. One award was given to Stena Line who had not used an agency.